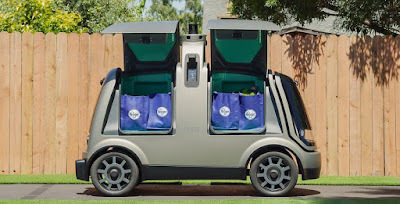 Nuro, a Silicon Valley startup created by two Google Self-Driving Car Project veterans, has arranged a big debut for its little autonomous vehicles with plans for an on-demand grocery delivery pilot program with supermarket giant Kroger. 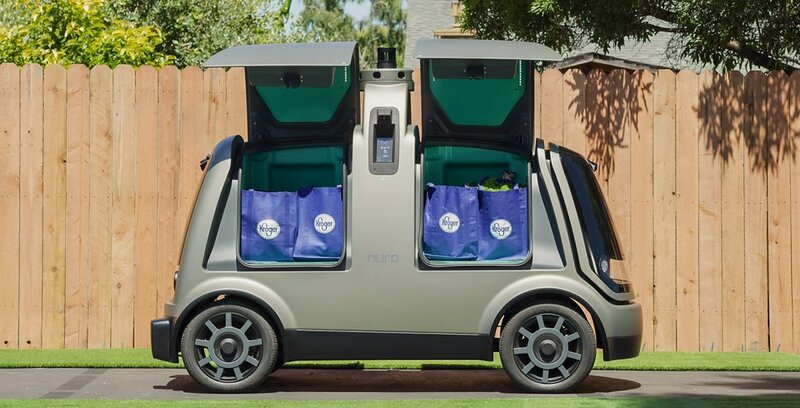 Nuro emerged from stealth mode early this year with a $92 million fundraising announcement, and the project is the first for its miniature robot van that looks like a toaster on wheels. Kroger and Nuro said in a statement on Thursday that the pilot program begins late this year in a city to be named later. For it’s a “pure partnership play,” with no investment by Kroger, Kristal Howard, a spokeswoman for the Cincinnati-based grocery company, said.